When will be Garage Dreams next episode air date? Is Garage Dreams renewed or cancelled? Where to countdown Garage Dreams air dates? Is Garage Dreams worth watching? 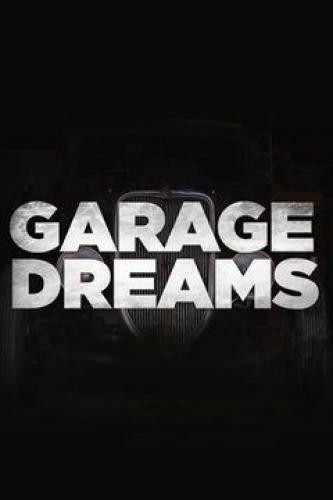 Garage Dreams is a 13 episode Television series co-produced by Journey Media and Broken Arrow Media. The series explores the colorful mosaic of auto culture through the eyes of custom car and bike builders. Series One was filmed in Australia, New Zealand and the USA with films directed by Josh Clason, Tom Broadhurst and Cal Thorley. Meeting the mastermind behind the world's best chopped festival; a Datsun 620 is on the trail. A BMW 2002 only gets better with time; Danny is a man about town with his mean mix of machines. A man adds some TLC to his vehicle and calls it Zombie; the hottest cars swarm to a famous Las Vegas event. An auto-paint artist pushes the boundaries of possibility; custom bikes and Japanese design converge in the cafe racer world. Garage Dreams next episode air date provides TVMaze for you. EpisoDate.com is your TV show guide to Countdown Garage Dreams Episode Air Dates and to stay in touch with Garage Dreams next episode Air Date and your others favorite TV Shows. Add the shows you like to a "Watchlist" and let the site take it from there.